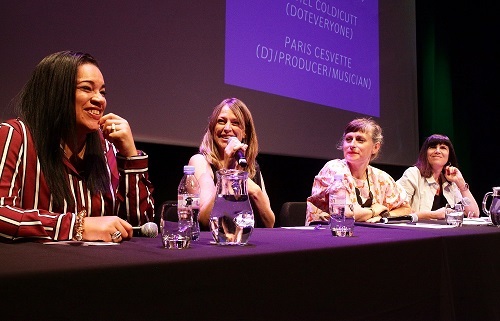 The Music Publishers Association (MPA) represents the full diversity of the UK’s music publishing sector and we act on behalf of over 200 members ranging from the UK’s largest and most established music publishers to independents and start-ups. These companies are the engine room of British music, they support our music makers and drive an extraordinary cultural and economic success story. From Adele to Jimi Hendrix, Ludovico Einaudi to Elvis Presley, our members represent the rights of a variety of songwriters and composers. From training courses to member socials and our legendary Christmas Lunch, the MPA hosts a varied range of events that offer you, as a sponsor, the opportunity to tap into this vast and growing network. Our network reaches farther than its members. As well as MPA publishers, we extend our invitation to special guests from across the music industry, creative sector and MPs. Also as a member of UK Music, an umbrella organisation which represents the collective interests of the UK’s commercial music industry, we work alongside AIM, BASCA, BPI, FAC, MMF, MPG, MU, PPL, PRS for Music and UK Live Music. Discounts and invitations to UK Music sister companies events are often given. In the past, we’ve had attendance from Universal Publishing, Sentric, BPI, PRS, Beggars Music, Kobalt, Beggars Group, Spotify, Warner Chappell, Music Gateway, BASCA, UK Music, Bucks Music etc. Showcase your brand or service to the MPA membership and the wider music industry. Gain exposure through promotional materials and press opportunities. Mentions in our members and non-members e-newsletters. A number of spaces to invite guests or employees to the event. Access to a range of industry professionals in an informal environment. Check out our Facebook and Twitter pages to see photos from previous MPA events. You can view the MPA Sponsorship Brochure for 2019 here.